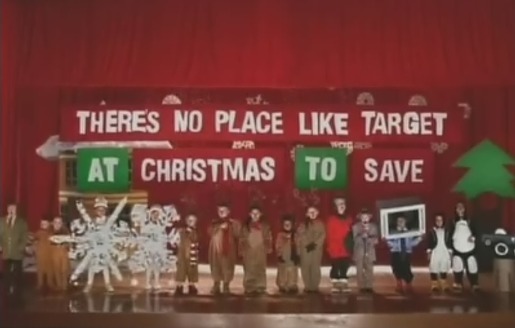 Target has commissioned a series of Christmas Plays to demonstrate the benefits of whole families shopping at the stores throughout the United States. Four versions of a school Christmas play are presented, “Mrs. Claus’ Dream”, “Rudolph”, “Reindeer”, and “Elves”. “There’s no place like Target at Christmas to save”. Children narrate and act out the Target take on the worlds of Santa Claus, penguins, A Christmas Carol and various nursery rhymes, with the aid of enthusiastic adult prompts. The Christmas Play campaign was developed at Peterson Milla Hooks, Minneapolis.